Matched betting is all about finding value. By taking advantage of enhanced odds and bookmaker promos, we make sure that every bet we place has a positive expected value (+EV). In doing so we guarantee that we will always come away with a profit in the long-run. Another way you can find value is by having a Premium membership at Bonusbank. Bonusbank has more tools and features than any other matched betting site in Australia. The cost of the subscription is returned to you many times over through the time saved and increased profits you achieve by using these tools. If you are a true value hunter, however, you are going to want to make sure you get the very best deal on that subscription. 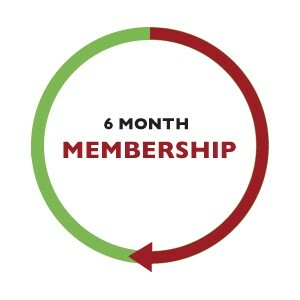 That is why we have just introduced a new 6-monthly membership option. By taking the 6-monthly option, you can save almost 20% from the regular monthly cost. Now that is some great value! You can upgrade to this option at any time, so there is no need to dive right in from the start. If you are still unsure about matched betting, try our monthly option first. Most of our members make $500-1000 in their first month. Once you have seen how easy matched betting is, and made some nice profits, you can upgrade and take advantage of that extra value. Of course, if you want even more value, you can go for our annual subscription which will save you another 10%! When it comes to matched betting in Australia, you won’t find a better deal than Bonusbank.